The information below was culled from the U.S. Department of Veterans Affairs website. Sarasota National Cemetery is a part of the U.S. Department of Veterans Affairs and thus all information contained below pertains to Sarasota National Cemetery as well. 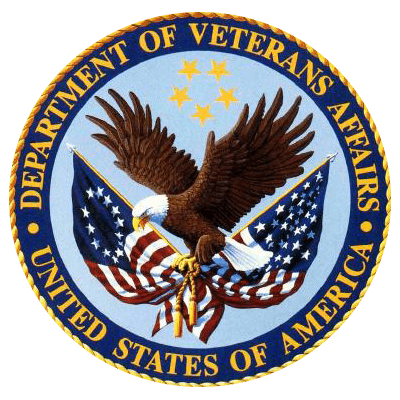 The Department of Veterans Affairs makes all determinations of eligibility for the various levels of benefits provided to veterans of the United States armed forces. By clicking on the image on the right, you will be taken to the website of the Department of Veterans Affairs. Requests for burial in a Department of Veterans Affairs (VA) national cemetery cannot be made via the Internet. The VA does not make funeral arrangements or perform cremations. Families should make these arrangements with a funeral provider or cremation office. Any item or service obtained from a funeral home or cremation office will be at the family's expense. Burial benefits available include a gravesite in any of our 131 national cemeteries with available space, opening and closing of the grave, perpetual care, a Government headstone or marker, a burial flag, and a Presidential Memorial Certificate, at no cost to the family. Some Veterans may also be eligible for Burial Allowances. Cremated remains are buried or inurned in national cemeteries in the same manner and with the same honors as casketed remains. Gravesites in Department of Veterans Affairs (VA) national cemeteries cannot be reserved in advance. You should advise your family of your wishes and where your discharge papers* are kept. These papers are very important in establishing your eligibility. You may wish to make pre-need arrangements with a funeral home. At the time of need your family would contact a funeral home who will assist them with making burial arrangements at the national cemetery. To schedule a burial: Fax all discharge documentation to the National Cemetery Scheduling Office at 1-866-900-6417 and follow-up with a phone call to 1-800-535-1117. Most of the Department of Veterans Affairs national cemeteries display an Avenue of Flags on patriotic holidays and during special events. The Avenues consist of burial flags donated by the families of deceased Veterans and provide a unique visible tribute to all of our Nation's Veterans. A Certificate of Appreciation is presented to the donor for providing their loved ones' burial flag to a national cemetery. Please contact the cemetery of your choice for information on how to donate a veteran's burial flag.